This year, the Diada was an odd one. 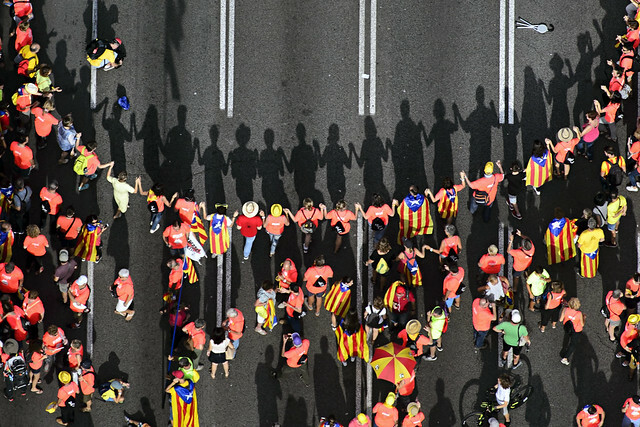 With political prisoners and exiles and thousands of other people prosecuted, Spain chose the repressive road instead of a peaceful referendum as in Scotland and Quebec. The referendum was held, and notwithstanding the violent crackdown by the Spanish police, knew a massive turnout. The result was in favour of independence. As Spain continues to deny Catalans the right to self-determination, the only way forward is the implementation of the Catalan republic. ‘Let’s build the Catalan republic!’ was thus the slogan this year. A ‘wall’ stills stands in our way though. A wall that needs to be taken down to attain liberty. A symbolic wall was thus put up in Barcelona’s largest avenue, the Diagonal. According to Barcelona’s police, more than 1 million people assembled to shout and ‘fell’ the wall at the end of the demonstration. On the wall, different images reminded people of what stops us from achieving freedom: a hamster wheel for the belief that Spain will ever negotiate a referendum; a King of cards with a truncheon for the Spanish King who endorsed the police violence; and a ‘155’ that symbolised the taking away of the little autonomy we have and to commemorate the political prisoners, exiles and prosecuted Catalans. The shout symbolised the force of the people to fell unjust regimes. The Catalan republic is there to achieve a better life, with full democratic rights, respect for minorities, an independent Justice and real Rule of law. These rights were claimed by ANC Chair Elisenda Paluzie, who was accompanied by the human rights advocates Aamer Anwar and Ben Emmerson, who demanded Spain to respect the Catalan vote of self-determination, to unconditionally start a dialogue and to free all political prisoners. This year’s Diada had a markedly international nature. 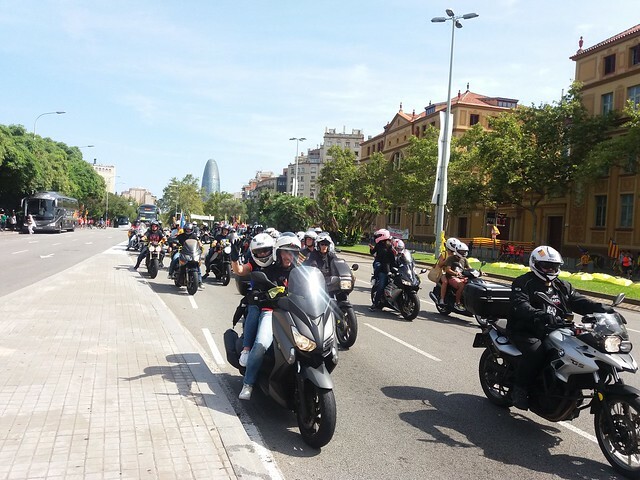 It has not only been held in Barcelona, the National Catalan Assembly also organised demonstrations in other 40 cities worldwide, a patent success, as there have never before been that many locations celebrating the Diada. As every year, the huge and festive demonstration took place without incidents. The Catalan Republican and pro-independence movement is and remains a profoundly peaceful one.